Ֆլեյտայի մասին ամենավաղ գրավոր հիշատակումները մեզ են հասնում Շումերական սեպագրերից՝ մ․թ․ա․ 2600–2700 թվականներ։ Ֆլեյտաների մասին կիշատակված է նաև Գիլգամեշի էպոսում, որի զարգացումն ըդգրկում է մոտ 2100–600 հազարամյակները։ Մի շարք սեպագիր արձանագրություններ, որոնք հայտնի են որպես «երաժշտական տեքստեր», տալիս են ճշգրիտ ձայնային provide precise tuning instructions for seven scale of a stringed instrument (assumed to be a Babylonian lyre). One of those scales is named embūbum, which is an Akkadian word for "flute". Տոնայնությամբ՝ D։ Փայտե համերգային ֆլեյտա օգտագործել են Եվրոպական դասական երաժշտության մեջ հիմնականում վաղ 18-իդ դարից վաղ 19-իդ դարի ընթացքում։ Որպես այդպիսին գործիքը հաճախ է նշվում որպես բարոկկո համերգային ֆլեյտա։ 19-րդ դարում աստիճանաբար մարգինալացված արևմտյան համերգային ֆլեյտայից՝ բարոկկո ֆլեյտաները նորից գործի դրվեցին ուշ 20-րդ դարում, որպես as part of the historically informed performance practice. 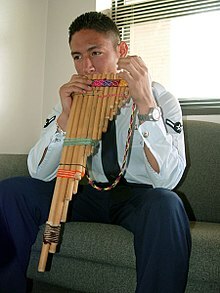 ↑ Wilford John N. (June 24, 2009)։ «Flutes Offer Clues to Stone-Age Music»։ Nature 459 (7244): 248–52։ Bibcode:2009Natur.459..248C։ PMID 19444215։ doi:10.1038/nature07995։ lay summary – The New York Times . Citation on p. 248. ↑ 5,0 5,1 Simpson, J. A. and Weiner, E. S. C. (eds. ), "flute, n.1", Oxford English Dictionary, second edition. 20 vols. Oxford: Clarendon Press; New York: Oxford University Press, 1989. 0198611862. ↑ Flute History, UCLA. Retrieved June 2007. ↑ Ghosh, Pallab. 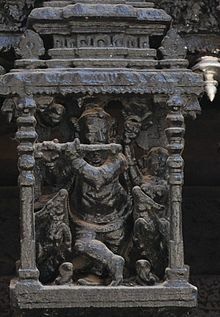 (2009-06-25) BBC: 'Oldest musical instrument' found. BBC News. Retrieved on 2013-08-10. ↑ The bone age flute. BBC. September 23, 1999. ↑ Flute acoustics, UNSW. Retrieved June 2007. ↑ Boehm, Theobald. (1964). The Flute and Flute-Playing in Acoustical, Technical, and Artistic Aspects, translated by Dayton C. Miller, with a new introduction by Samuel Baron. New York: Dover Publications. 0-486-21259-9, pp. 8–12. 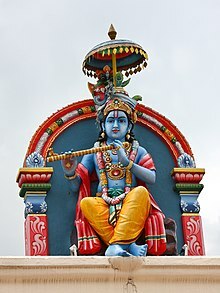 ↑ Paper authored by Avinash Balkrishna Patwardhan unveiling the fundamental principles governing Indian classical music by research on Bharata Muni's Natya Shastra at the National Symposium on Acoustics (1998), ITC Sangeet Research Academy, Calcutta, India. ↑ 43,0 43,1 Pahlevanian, Alina. (2001). "Armenia §I: Folk Music, 3: Epics", in The New Grove Dictionary of Music and Musicians, second edition, edited by Stanley Sadie and John Tyrrell. London: Macmillan Publishers. ↑ Komitas, Vardapet. (1994). Grakan nshkhark' Komitas Vardapeti beghun grch'ēn: npast mē Komitas Vardapeti srbadasman harts'in, edited by Abel Oghlukian. Montreal: Ganatahayots' Aṛajnordarani "K'ristonēakan Usman ew Astuatsabanut'ean Kedron". Buchanan, Donna A. 2001. "Bulgaria §II: Traditional Music, 2: Characteristics of Pre-Socialist Musical Culture, 1800–1944, (iii): Instruments". The New Grove Dictionary of Music and Musicians, second edition, edited by Stanley Sadie and John Tyrrell. London: Macmillan Publishers. 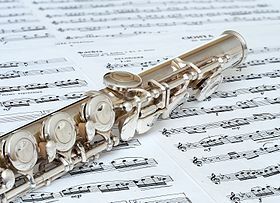 Flute acoustics Resources on flute acoustics from the University of New South Wales.